ZevenOS is an Ubuntu-based GNU/Linux distribution with focus on providing a fast and easy-to-use system with BeOS-like user interface and support for older hardware. The distribution is built on top of a recent Linux kernel and includes a large number of popular open-source software applications for office use, multimedia playback and software development. 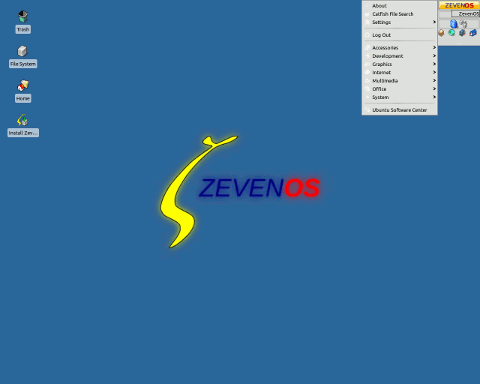 ZevenOS also ships with MAGI, a tool for starting applications and managing the system. The project's "Neptune" edition is a separate built based on Debian GNU/Linux and featuring the latest KDE desktop. Rate this project OpenBSD is a security-focused operating system with a focus on correct code and accurate documentation. The project has released OpenBSD 6.3 which introduces SMP support on the ARM64 architecture, includes ISO support in the virtual machine daemon (vmd) and makes memory allocation more efficient. There have also been several updates to the LibreSSL and OpenSSH secure communication tools: "LibreSSL 2.7.2 - Added support for many OpenSSL 1.0.2 and 1.1 APIs, based on observations of real-world usage in applications. These are implemented in parallel with existing OpenSSL 1.0.1 APIs - visibility changes have not been made to existing structs, allowing code written for older OpenSSL APIs to continue working. Extensive corrections, improvements, and additions to the API documentation, including new public APIs from OpenSSL that had no pre-existing documentation. Added support for automatic library initialization in libcrypto, libssl, and libtls. Support for pthread_once or a compatible equivalent is now required of the target operating system. As a side-effect, minimum Windows support is Vista or higher." The release announcement has more information. Download (pkglist): amd64/install63.iso (335MB, SHA256, signature), i386/install63.iso (324MB, SHA256, signature). OpenBSD is a security-focused operating system with a design that emphasises correct code and accurate documentation. The project has released OpenBSD 6.4 which includes many driver improvements, a feature which allows OpenSSH's configuration files to use service names instead of port numbers, and the Clang compiler will now replace some risky ROP instructions with safe alternatives. Perhaps the most interesting feature is the unveil() system call which allows applications to sandbox themselves, blocking their own access to the file system. This is especially useful for programs which operate on unknown data which may try to exploit or crash the application: "New unveil(2) system call to restrict file system access of the calling process to the specified files and directories. It is most powerful when properly combined with privilege separation and pledge(2)." Other security improvements include: "Implemented MAP_STACK option for mmap(2); new RETGUARD security mechanism on amd64 and arm64 - use per-function random cookies to protect access to function return instructions, making them harder to use in ROP gadgets...." Further details can be found in the project's release notes and in the changelog. 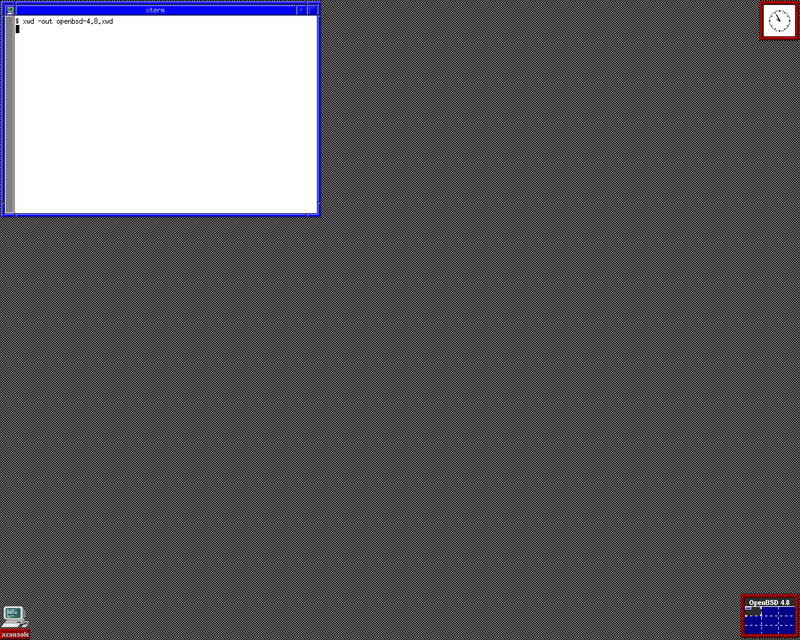 Download: amd64/install64.iso (343MB, SHA256, signature), i386/install64.iso (324MB, SHA256, signature). OpenBSD is a lightweight operating system designed with code correctness and security in mind. The project has released OpenBSD 6.2 which features many new drivers, particularly for the ARM architecture, and network packet handling performance improvements. Some key features have been added to the system installer too, including checking for security updates on the system's first boot: "Installer improvements: The installer now uses the Allotment Routing Table (ART). A unique kernel is now created by the installer to boot from after install/upgrade. On release installs of architectures supported by syspatch, "syspatch -c" is now added to rc.firsttime. Backwards compatibility code to support the 'rtsol' keyword in hostname.if(5) has been removed. The install.site and upgrade.site scripts are now executed at the end of the install/upgrade process. More detailed information is shown to identify disks. The IPv6 default router selection has been fixed. On the amd64 platform, AES-NI is used if present." Further information on OpenBSD 6.2 can be found in the project's release notes. Download (pkglist): amd64/install62.iso (330MB, SHA256, signature), i386/install62.iso (320MB, SHA256, signature). The OpenBSD developers have announced the availability of a new stable release of their security-oriented operating system. The new release, OpenBSD 6.1, introduces bug fixes, several new or improved hardware drivers and security enhancements to the system installer. "We are pleased to announce the official release of OpenBSD 6.1. As in our previous releases, 6.1 provides significant improvements, including new features, in nearly all areas of the system. The installer now uses privilege separation for fetching and verifying the install sets. Install sets are now fetched over an HTTPS connection by default when using a mirror that supports it. The installer now considers all of the DHCP information in file name, boot file-name, server-name, tftp-server-name, and next-server when attempting to do automatic installs or upgrades. The installer no longer adds a route to an alias IP via 127.0.0.1, due to improvements in the kernel routing components." Additional details on the OpenBSD 6.1 release can be found in the project's release announcement and a complete list of changes since version 6.0 can be found in the project's changelog. Download (pkglist): amd64/install61.iso (209MB, SHA256, signature), i386/install61.iso (199MB, SHA256, signature). The OpenBSD team has announced the availability of a new stable release of their security-oriented operating system. The new release, OpenBSD 6.0, introduces many bug fixes, improved driver support for many devices and fixes a number of potential security issues in OpenSSH. The new release also features a new tool, proot, for building software ports in an isolated chroot environment. Support for the VAX platform has been dropped for this release. "New/extended platforms: armv7 - EFI bootloader added, kernels are now loaded from FFS instead of FAT or EXT file systems, without U-Boot headers. A single kernel and ramdisk are now used for all SoCs. Hardware is dynamically enumerated via Flattened Device Tree (FDT) instead of via static tables based on board id numbers. Miniroot installer images include U-Boot 2016.07 with support for EFI payloads. vax - Removed." Additional details on OpenBSD 6.0 can be found in the project's release announcement and a complete list of changes since version 5.9 can be found in the changelog. Download (pkglist): amd64/install60.iso (226MB, SHA256, signature), i386/install60.iso (216MB, SHA256, signature). The OpenBSD project has announced the release of OpenBSD 5.9. The OpenBSD project focuses on providing code and documentation that are correct and of high quality. This has lead to OpenBSD being regarded as a highly secure and reliable operating system. The new release features W^X (write or execute) security for 32-bit x86 processors, many new and improved hardware drivers and support for installing OpenBSD on GPT partitioned hard drives. This release features a forked version of the "less" command and network stack improvements. Updated versions of LibreSSL and OpenSSH are included as well and feature several security enhancements. A complete list of new features and improvements can be found in the project's release announcement and in the more detailed changelog. Download (pkglist): amd64/install59.iso (223MB, SHA256, signature), i386/install59.iso (213MB, SHA256, signature). Theo de Raadt has announced the release of OpenBSD 5.8. The OpenBSD project focuses on providing code and documentation that are correct and of high quality. This has lead to OpenBSD being regarded as a highly secure and reliable operating system. The new release features several new or improved drivers, the sudo command has been replaced with doas and some of the system installer's default settings have been changed. "We are pleased to announce the official release of OpenBSD 5.8. This is our 38th release on CD-ROM (and 39th via FTP/HTTP). We remain proud of OpenBSD's record of twenty years with only two remote holes in the default install. As in our previous releases, 5.8 provides significant improvements, including new features, in nearly all areas of the system." Further information and a detailed list of changes can be found in the release announcement and in the errata. Download (pkglist): amd64/install58.iso (220MB, SHA256), i386/install58.iso (210MB, SHA256). Stefan Sperling has announced the availability of OpenBSD 5.7. "We are pleased to announce the official release of OpenBSD 5.7. This is our 37th release on CD-ROM (and 38th via FTP/HTTP). We remain proud of OpenBSD's record of more than ten years with only two remote holes in the default install. As in our previous releases, 5.7 provides significant improvements, including new features, in nearly all areas of the system. Improved hardware support includes: new xhci(4) driver for USB 3.0 host controllers; new umcs(4) driver for MosChip Semiconductor 78x0 USB multiport serial adapters; new skgpio(4) driver for Soekris net6501 GPIO and LEDs; new uslhcom(4) driver for Silicon Labs CP2110 USB HID based UART...." The latest release of the security oriented flavour of BSD includes many changes such as the removal of SSLv3 support from base utilities and more strict enforcement of write-exclusive-or-execute (W^X) in the kernel. The release announcement has more details and the project provides a full changelog of the changes between OpenBSD 5.6 and version 5.7. Sperling further linked to the project's errata page which lists potential problems and fixes for the new release. Download: amd64/install57.iso (219MB, SHA256), i386/install57.iso (208MB, SHA256, pkglist). Antoine Jacoutot has announced the release of OpenBSD 5.6, the latest version of the free, multi-platform UNIX-like operating system focusing on proactive security and integrated cryptography: "We are pleased to announce the official release of OpenBSD 5.6. This is our 36th release on CD-ROM (and 37th via FTP/HTTP). We remain proud of OpenBSD's record of more than ten years with only two remote holes in the default install. As in our previous releases, 5.6 provides significant improvements, including new features, in nearly all areas of the system. LibreSSL: this release forks OpenSSL into LibreSSL, a version of the TLS/crypto stack with goals of modernizing the codebase, improving security, and applying best practice development processes; no support for legacy MacOS, Netware, OS/2, VMS and Windows platforms, as well as antique compilers; removal of the IBM 4758, Broadcom ubsec, Sureware, Nuron, GOST...." Visit the OpenBSD 5.6 release page to read the complete list of changes and improvements. Download: amd64/install56.iso (227MB, SHA256, torrent), i386/install56.iso (211MB, SHA256, torrent, pkglist).